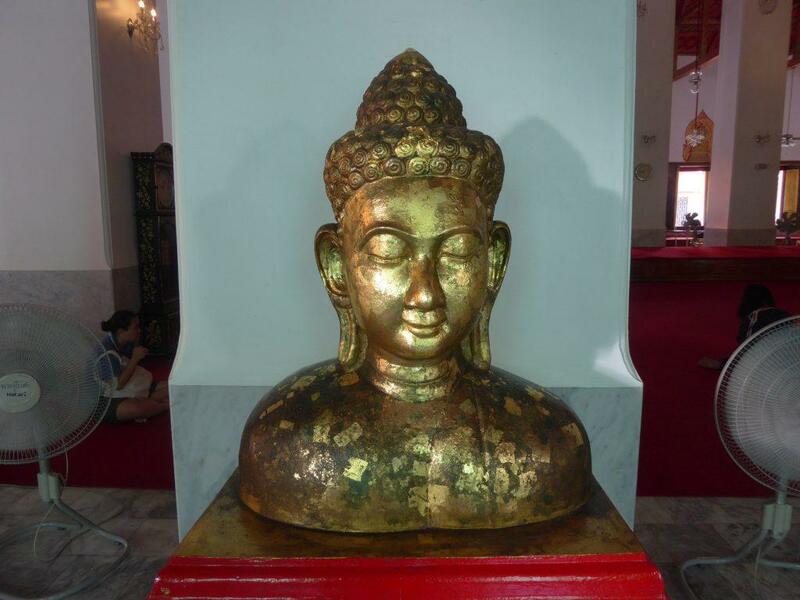 Wat Chana Songkram is an Ayutthaya period temple established during the reign of Somdet Phra Phutta Yod Fah Chulalok Maharaj, the first king of the Chakri dynasty. 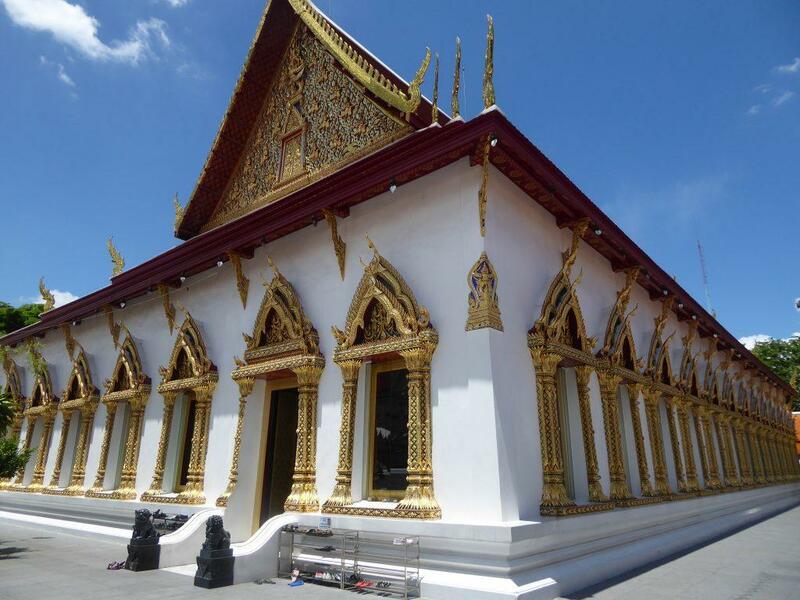 It was later designated as a royal temple by King Rama the first and later renovated by King Rama V. Ash containers were built for the royal members whose ashes were moved from the rear palace to the temple in 1927. It’s a stone’s throw away from Khao San Road opposite the police station and attracts a steady flow of local worshipers who come to pray and make offerings as well as curious travelers. The temple features some beautiful artwork and architecture. 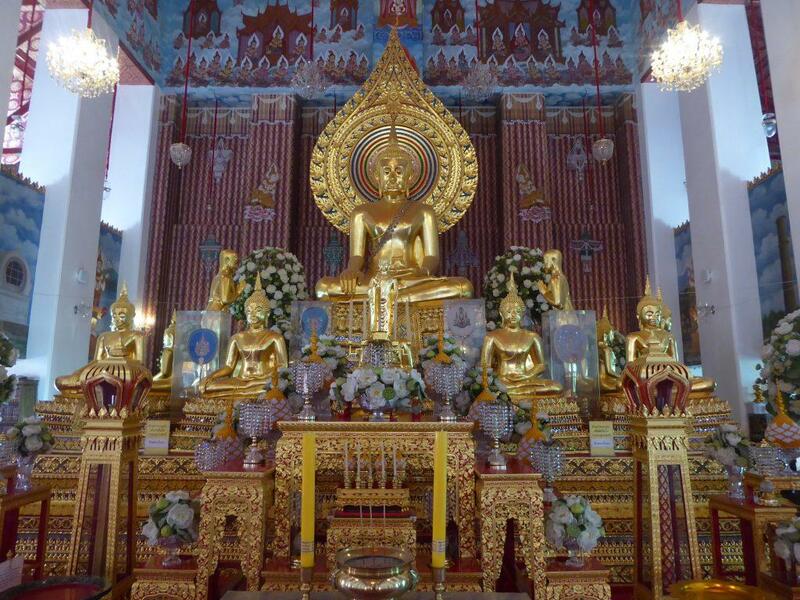 Inside the Ubosot is the principal Buddha image Phra Buddha Norasee Trilokachet Mahetthisak Puchaniyachayantakhodom Boromsasada Anaworayan. 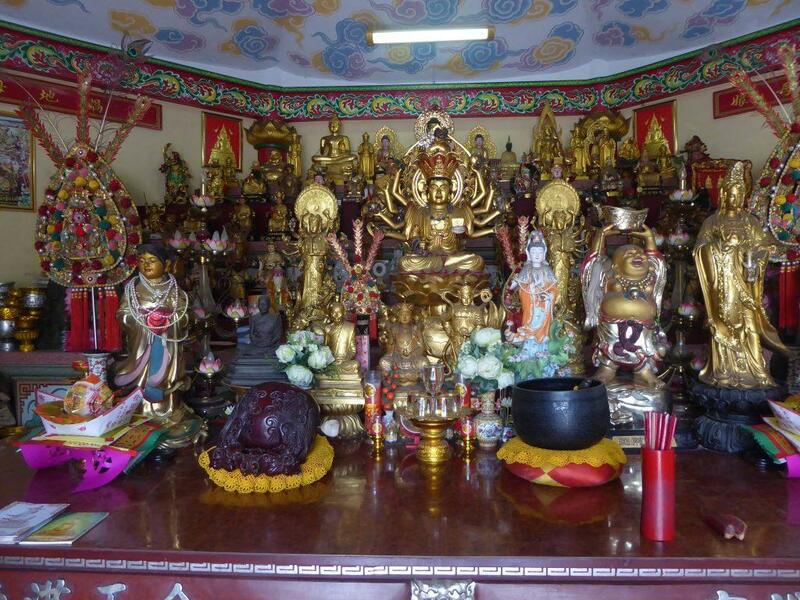 The image is surrounded by smaller Buddha images in front and on the sides. Above are some beautiful murals. 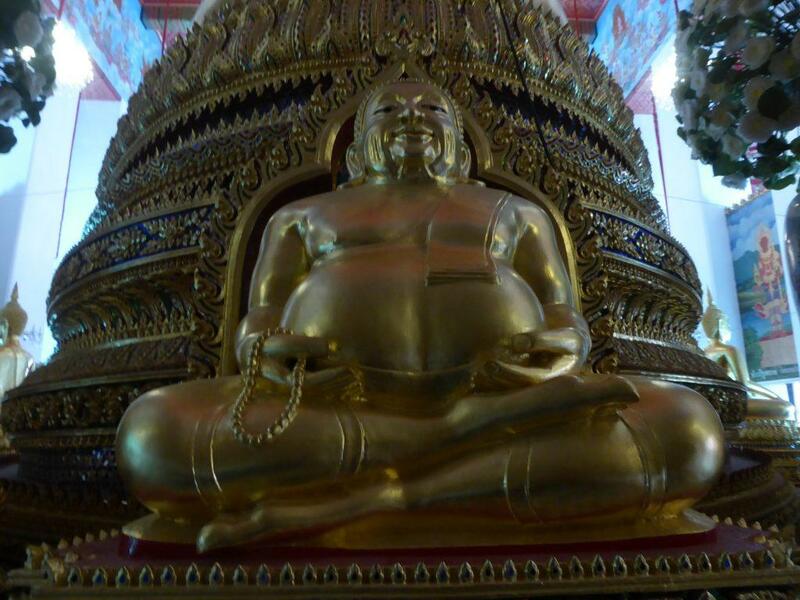 A fat laughing Buddha sits behind the main image. 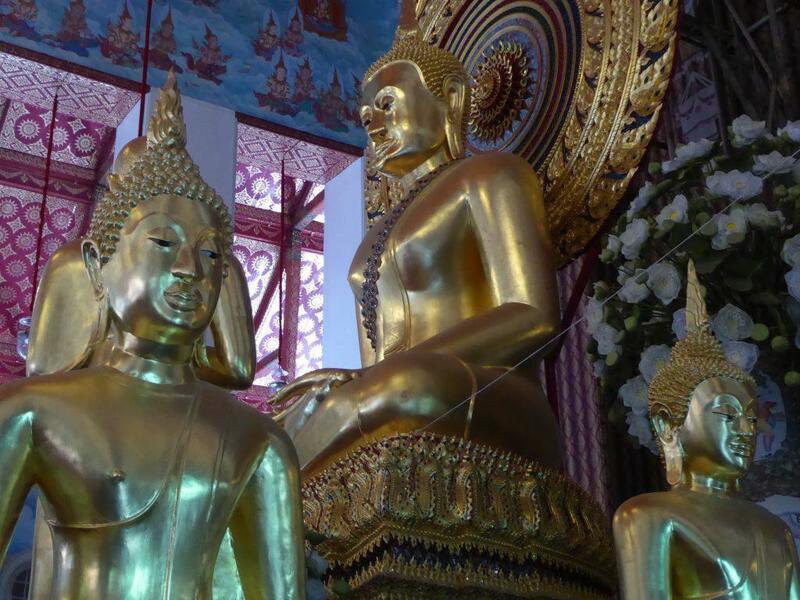 Also, there are rows of Buddha images on both sides of the hall. The temple’s grounds are large, peaceful and quiet. 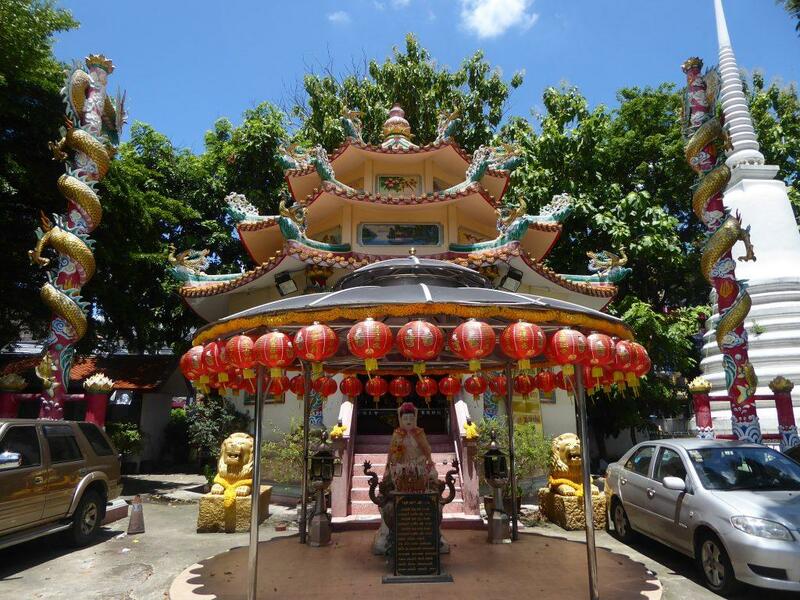 Within the grounds is a Chinese style shrine. 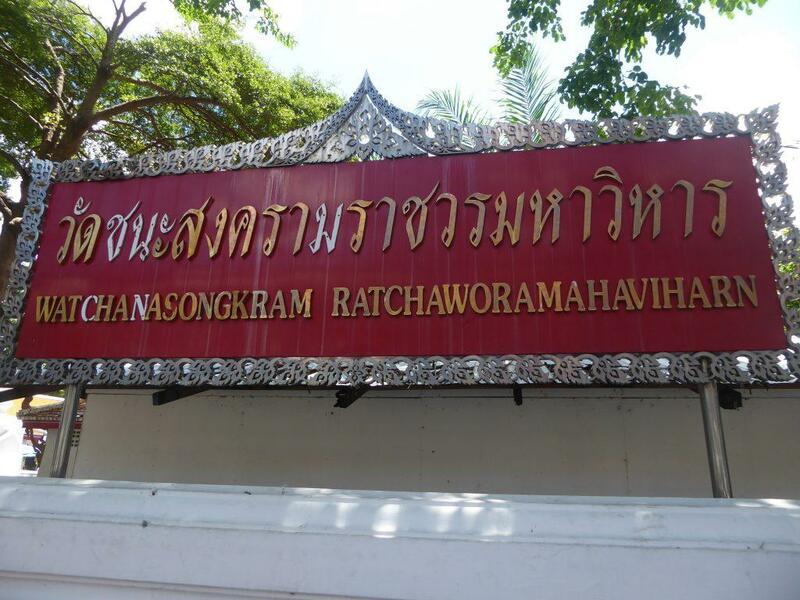 Wat Chana Songkram is worth a visit if you’re in the Khao San Road area. Location: Chakkraphong Road, Bang Lamphu, Bangkok.